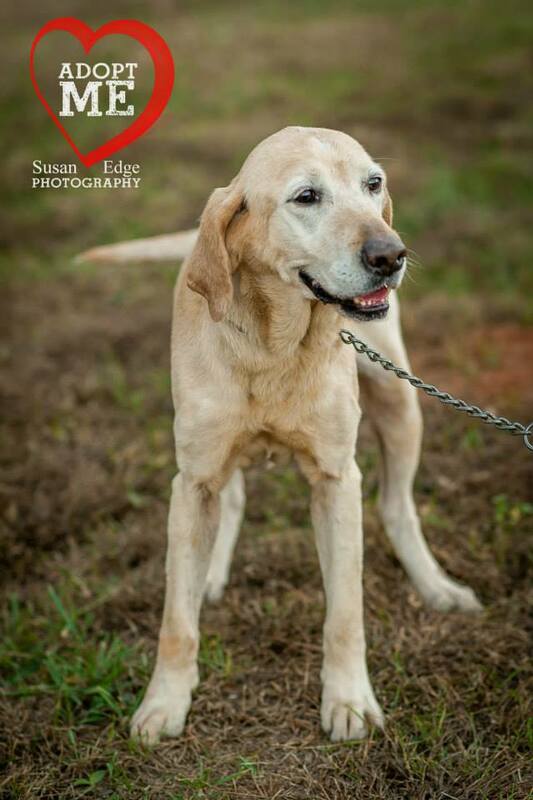 Ladybird was a stray senior yellow lab who was first named “Rivette” and then “River”, because of the area where she was picked up by animal control. We’re still not quite sure how we made our way to the Facebook page of the rural shelter outside of Macon, GA where she was being held. But somehow, we found our way there and saw her sweet face looking back at us and knew we had to help. We made the long drive out to the shelter and took our yellow lab, Penny, with us because we wanted to see how Ladybird acted around other dogs. The two girls got along great and we could tell right away that Ladybird was a wonderful dog, so within a matter of minutes we agreed to take her. Ladybird stayed with us for about a week so we could take care of her first few visits and prepare her for her new life. Jane lives in Decatur, GA, which is about 4 hours away, so when it was time for adoption day we decided to meet in the middle and picked a Publix grocery store parking lot in Dublin, GA as the meeting spot. 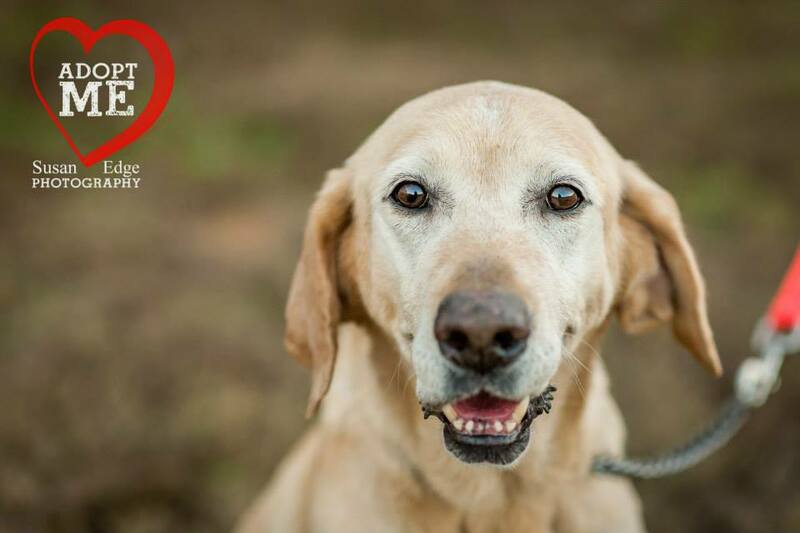 Jane was just as lovely in person as we had hoped she would be and, although it was tough to say goodbye to Ladybird after falling in love with her this week, we cannot imagine a better retirement home for her. Congratulations to Jane and Ladybird!